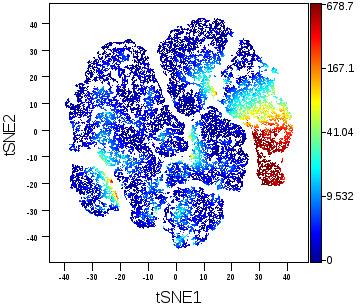 Our laboratory investigates the interactions between stromal and cancer cells in the tumour microenvironment. 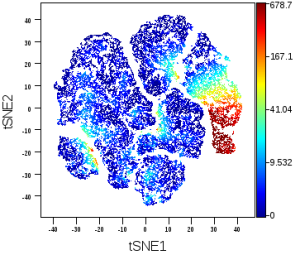 In this endeavour, we utilize a variety of approaches such as primary and metastatic pre-clinical tumour models, cell biology, bioinformatics, and validation of findings in clinical samples. 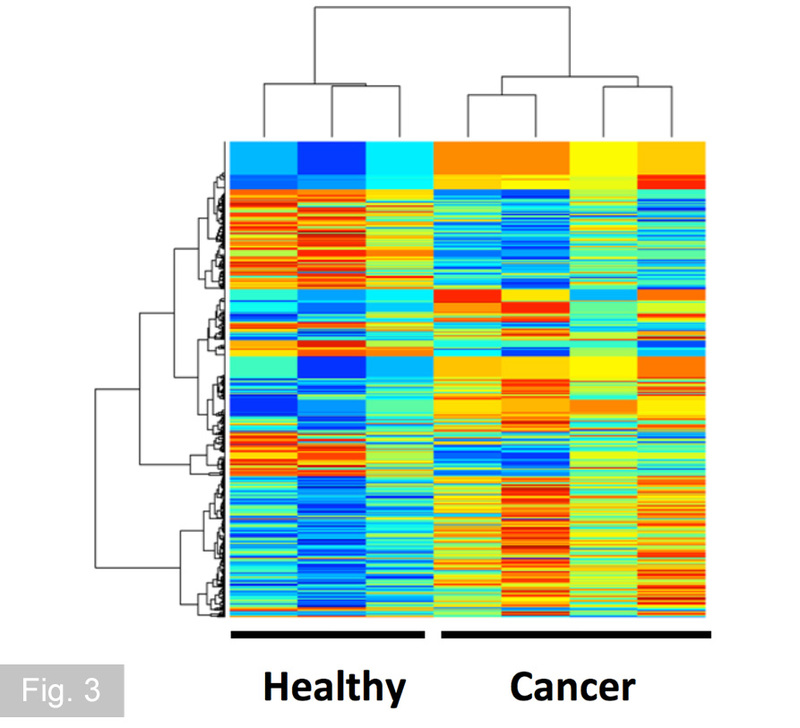 Our aim is to obtain new insights how stromal derived factors promote cancer and metastasis. In the hope our insights will offer new opportunities for improved diagnostics and treatment. During cancer progression, cancer cells closely interact with different non-cancerous stromal cells constituting the tumour microenvironment. 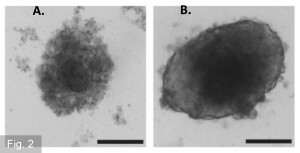 In the tumour microenvironment, macrophages represent a major component of the tumour infiltrated cells. Although tumour associated macrophages (TAMs) have the potential to kill cancer cells, several studies indicate that TAMs can also protect tumors from cytotoxic agents and support tumour progression. 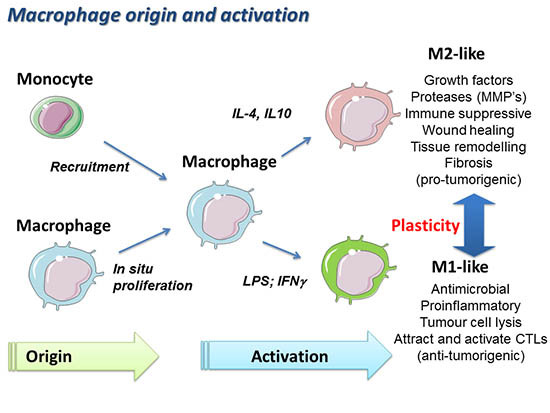 TAMs can be polarized into M1-like inflammatory macrophages that will activate an immune response against the tumour, or into M2-like immunosuppressive macrophages that promote tumour immunity and tumour progression. 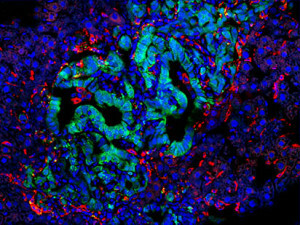 Pancreatic ductal adenocarcinoma (PDAC) is one of the most aggressive types of cancers and its treatment still represent a challenge because the use of conventional chemotherapies results to be inefficient in particular in patients with a locally advanced and metastatic form of the disease. A typical feature of PDAC is the generation of a massive stromal microenvironment, which in some cases can make up to 80% of the tumour mass. 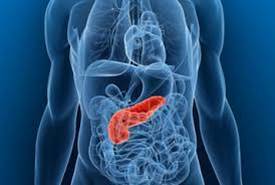 It is now believed, that the excessive stromal compartment in PDAC is in part responsible for the poor response of pancreatic cancer patients to chemotherapy. 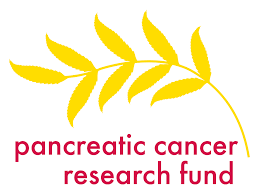 One of our interests is to understand how tumour infiltrating myeloid immune cells modulate pancreatic cancer progression and tumour responses to cytotoxic and immuno-therapies. 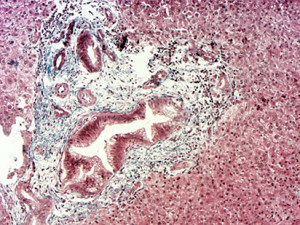 Metastasis is an ominous feature of pancreatic cancer and is the major cause of death. Metastatic spreading is a multistage process, which starts with the dissemination of cancer cells from the primary tumour site and ends with clinically detectable macrometastases at distant organs. Tumours can release large numbers of cancer cells into the blood circulation, but only a very small proportion of these cells are able to successfully colonize the distant metastatic site. 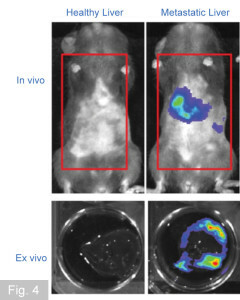 Thus, the colonization of the metastatic site by disseminated tumour cells is a severe rate limiting step during metastasis and identification of factors required for this rate-limiting step represent attractive targets for anti-cancer therapy. Although tumour cells are the driving force of metastasis, recent findings suggest that cells from the immune system, specifically myeloid cells, critically promote metastasis. Indeed, primary tumours can induce the recruitment of circulating myeloid cells in the blood to the future metastatic site, resulting in the generation of a metastatic niche. It has been suggested that at the metastatic niche, myeloid cells secrete factors and provide signals that aid disseminated cancer cells to nest, proliferate, survive, and form deadly metastatic lesions. However, the molecular mechanism(s) for this phenomenon are poorly understood. 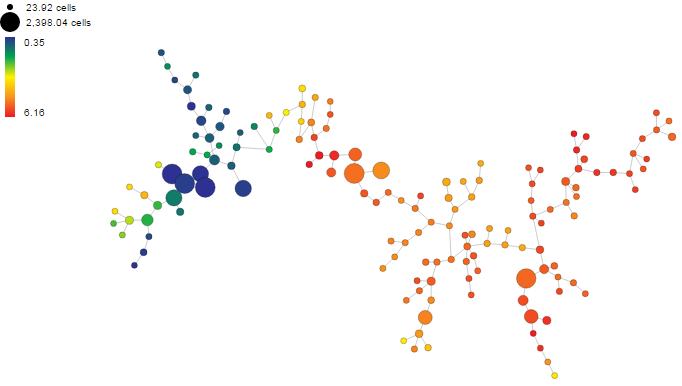 Our lab aims to better understand the role of stromal partners at the metastatic site. 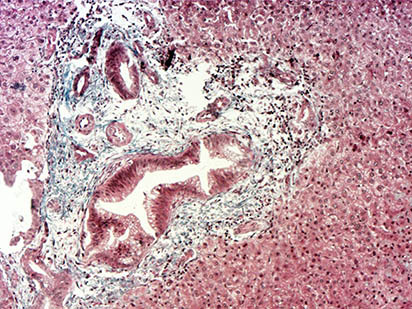 IHC analysis of human tissue biopsies.